September 19, 2010 - Language Will Prohibit Airlines from Breaking Contracts, Dumping Pensions on PBGC and Taxpayers. In a major victory for organized labor, airline employees and American taxpayers, the House Subcommittee on Commercial and Administrative Law has adopted language of an amendment into H.R. 4766 that will preclude U.S. airlines that are in bankruptcy from abrogating labor agreements and dumping pensions onto the Pension Benefit and Guarantee Corporation (PBGC) and ultimately the U.S. taxpayers. The amendment, offered by Congressman Dan Maffei (D-NY) was passed in committee on an 8-4 roll call vote, contains language offered by the Airline Division of the International Brotherhood of Teamsters. Committee Chairman John Conyers (D-MI) and seven committee members, who are also members of the Judiciary Committee, voted in favor of the bill. Under current practice, when an airline files for bankruptcy protection, management has the ability to unilaterally abrogate the existing labor contracts and may terminate employee pensions at will. This was allowed despite the millions of dollars that employee groups may have in the plans or turn the plan over to the PBGC, an arm of the federal government, leaving the U.S. taxpayers to foot the bill for underfunded plans. Unions have been powerless to fight this provision of the bankruptcy code despite efforts to change it that have been ongoing for years. The amendment language, written by the Teamsters Airline Division and now contained in H.R. 4766, would no longer allow airlines to use the bankruptcy code to unilaterally reject a union contract. They would be required to follow the procedures outlined in Section 6 of the Railway Labor Act (RLA), which governs the airline industry. Under the law, if adopted, airline managements would be prohibited from making unilateral changes without the assent of the union involved. If there is no agreement, no change may occur. "Just like the railroads, the airline industry is unique," said Captain David Bourne, Director of the Airline Division of the Teamsters. "Railroads have never been able to use the bankruptcy code to reject their collective bargaining agreements. That is because Congress did not want to upset and destabilize the special and delicate bargaining processes required by the RLA which governs railroad bargaining. 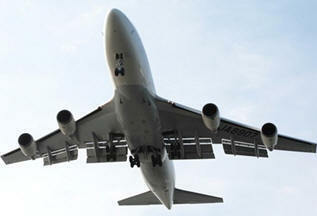 Airlines are also subject to those same bargaining processes under the RLA. In adopting this amendment, Congress has now recognized that the inconsistent treatment of airline contracts under the bankruptcy code has been unfair and has helped to destabilize the airline bargaining process. "Since the first use of bankruptcy law to gut airline employee contracts and pensions by Frank Lorenzo in the early 1980's, this change has been needed to protect the rights of hard working airline employees. We have seen it happen at so many airlines since then and unknown hundreds of thousands of men and women have seen decades of sacrifice they put into their retirement pensions vaporized at the stroke of management's pen. When this bill is passed, those days will be over. "We are focused on protecting the rights of all employees, regardless of union affiliation. This is a major game changer; and when passed by Congress, a truly incredible win for all airline employees. We call upon Congress to act quickly and decisively to pass the comprehensive bankruptcy legislation that is now before them," Bourne said.